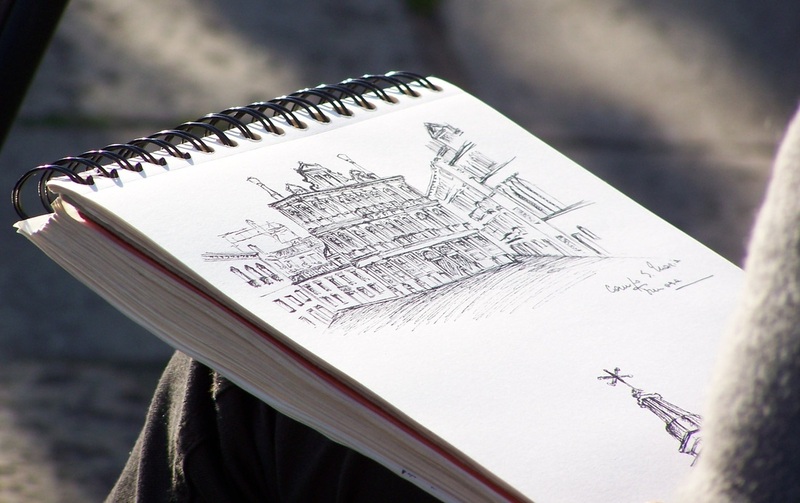 Learning or developing further the art of drawing is foremost an exercise in improving our observation skills. Drawing basic forms (like the ones pictures to the right) will help you see correctly. As you look at an object, no matter how complicated it may seem, the first step is to reduce it to its basic shape. Once this "seeing" of the shape is established, you will be able to draw the object correctly. Basic shapes, forms or "models" are cubes, cylinders, spheres, hexagons, cones, hemispheres, and pyramids. Try to observe your surroundings and identify the basic shapes on the objects you observe. In this course you will learn or develop further drawing by progressing through steps of drawing objects from the mineral world, the plant world, the animal world and finally the human kingdom. 1. 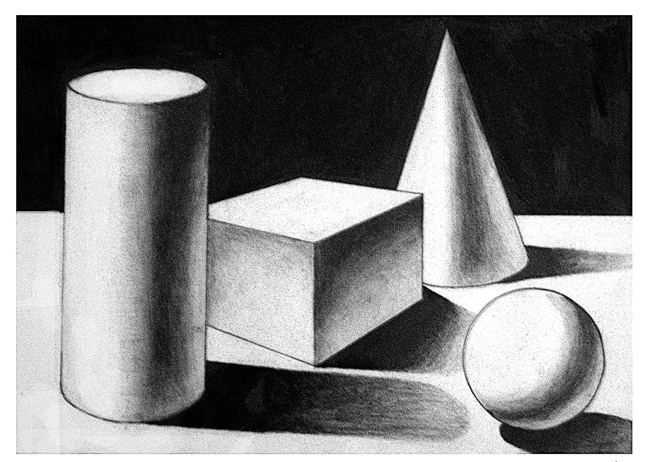 Watch the basic drawing exercise video ("Drawing Geometric Shapes") provided here. 2. Using a pencil and sketchpad create several drawings of objects for practicing purposes. Choose objects from the objects pictured above. 3. 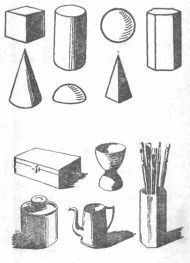 Once confident of drawing these basic objects, select 12 objects (either from the picture or choose other basic objects) and draw them.